1. What is special about underground pipes made from pitch-fibre? Underground pipes made from pitch-fibre were often used in the 1950s and 1960s, but they are now often said to be inherently defective. They frequently have a much shorter life than pipes made from clay or heavy-duty plastic, and they tend to distort and/or collapse. The pipes [made from pitch-fibre] were relatively inexpensive and easy to handle and install. However, it became apparent that these pipes were susceptible to the delamination of their inner surface, ruining the integrity of the pipes. It was also discovered that, under normal conditions, they were susceptible to collapse under applied loading sooner than pipes made of more rigid materials. 2. How does this affect insurance claims? Most household buildings-insurance policies cover accidental damage that has occurred to underground water and drainage pipes that serve the insured buildings, provided the pipes are the policyholder’s responsibility. But such policies often contain a number of exclusions – either generally or specifically in respect of accidental damage – including wear and tear, gradual deterioration (or gradually operating causes) and faulty workmanship or design. Some insurers may refuse to pay claims where it turns out that the underground pipes were made from pitch-fibre. 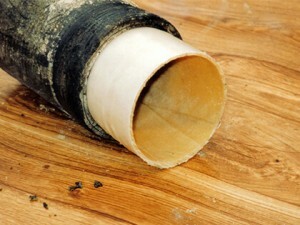 They may say that damage to pipes made from pitch-fibre is not covered under the policy – because it does not fall within the definition of accidental damage, or alternatively because it is excluded as the damage was caused by wear and tear or gradual deterioration or another reason covered by an exclusion in the policy. But the policyholder may only have realised that the underground pipes are made from pitch fibre when there is a blockage or some other problem and the pipes are inspected. Pitch Fibre pipes are a common problem across the South East of England.